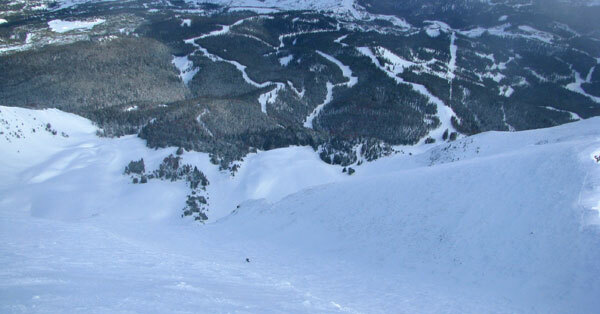 Moonlight Basin in Montana is part of Big Sky Resort on the same ski area lift ticket. Put this Montana ski resort on your must ski list. 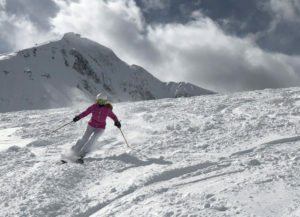 Moonlight Basin, now referred to as Big Sky’s Northern Exposure, first opened in 2003, and offers 2,200 acres of skiing of its own for a total of 5,800 acres with parent Big Sky Resort. Moonlight lacks crowds and boasts beautiful scenery, soft snow, a western flair and a bounty of terrain for every one in your family – serene to super steep in Headwater Bowl. 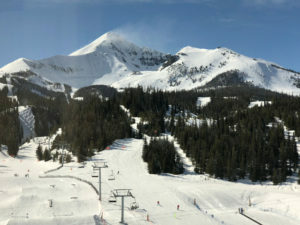 Big Sky is now among the biggest ski resorts in America, behind only Whistler and Park City, with more terrain than Vail or Snowbird and Alta combined. In 2013, Big Sky and Yellowstone Club’s ownership company CrossHarbor acquired Moonlight Basin from Lehman Brothers, so this previously quiet (almost private) ski resort is about to get discovered. We suggest you take your family ski trip here before it lands on everyone’s ski bucket list. A Big Sky Moonlight Basin family ski trip is relaxed, tucked away from the busier base village at Big Sky. 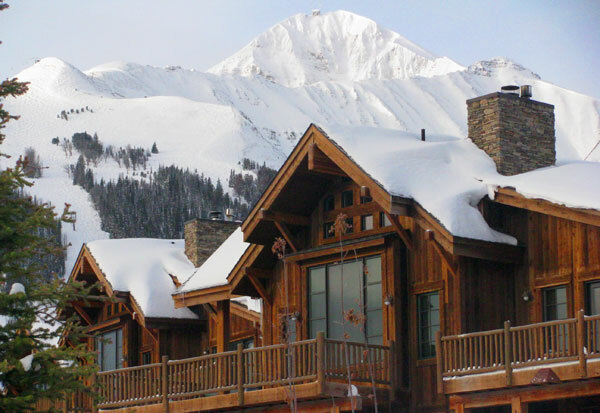 Gorgeous mountainside homes are available for a ski week, or cozy cabins like Cowboy Heaven. You are one lift away from Big Sky’s vast skiing. The centerpiece Moonlight Lodge is now private, hope for a member invite to go for après ski or dinner at Moonlight Lodge Tavern. The Moonlight Spa offers every treatment imaginable plus a tempting outdoor hot tub with views of Big Sky and Lone Peak. The Montanan staff is super friendly. Ski instruction and all day camps for kids, plus snowshoeing and dog sledding are a few of the extra resort activities that emanate from the Madison Base Area. This is a proposed future ski village, part of Big Sky’s 2025 plan. You can ski Big Sky and Moonlight’s well groomed terrain including the Six Shooter high speed lift, hit the terrain parks, poke into the trees for a fantastic glade run, or ride the Lone Tree Quad for steep and deep, or long lovely runs like Ice House and Lookout. For seriously steep skiing, The Headwaters double chair takes you up the northern flank of Big Sky’s Lone Peak to ski the impressive Headwater Chutes, or ski the Big Sky side for challenging terrain served by the appropriately name Challenger lift. A week at Big Sky should have you spending at least a few days exploring the terrain on the Moonlight Basin side, which is typically less skied and often has more snow given its northern exposure and protection from wind. Take a day off from the snowy slopes of Big Sky to visit the Nation’s first national park, Yellowstone National Park, where you can snowmobile or ride in a snow coach to see bison, elk, coyotes and thermal geysers including the famous Old Faithful. Or go Nordic skiing at the beautiful Lone Mountain Ranch. 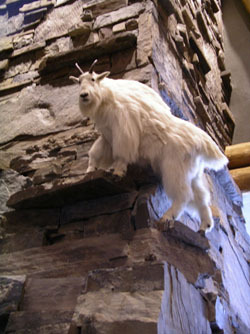 Moonlight Basin is like a private resort given its exceptional lodging and lack of skiers and riders. You will find fresh powder and posh lodging, kind of like nearby Yellowstone Club.